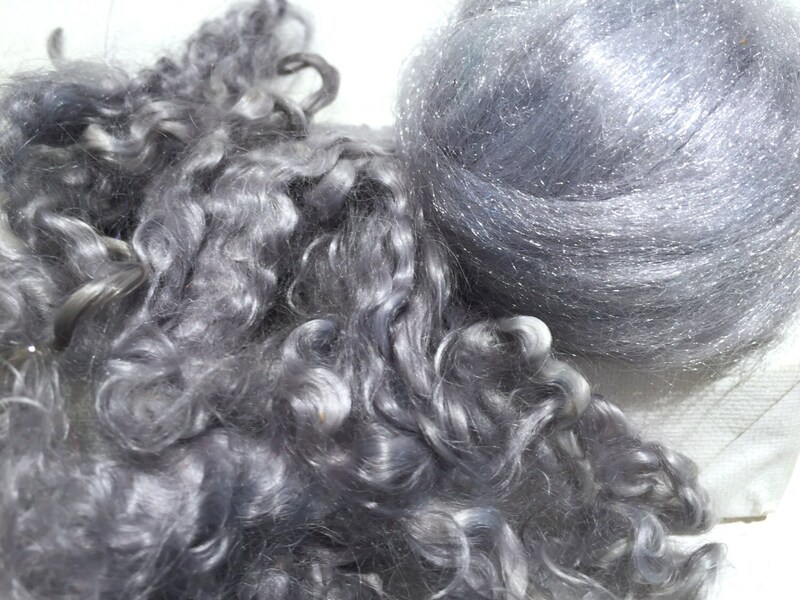 I can't explain my fascination with silver fibers, I (Laura speaking, btw) only know that it started about four years ago at the Taos Wool Festival. 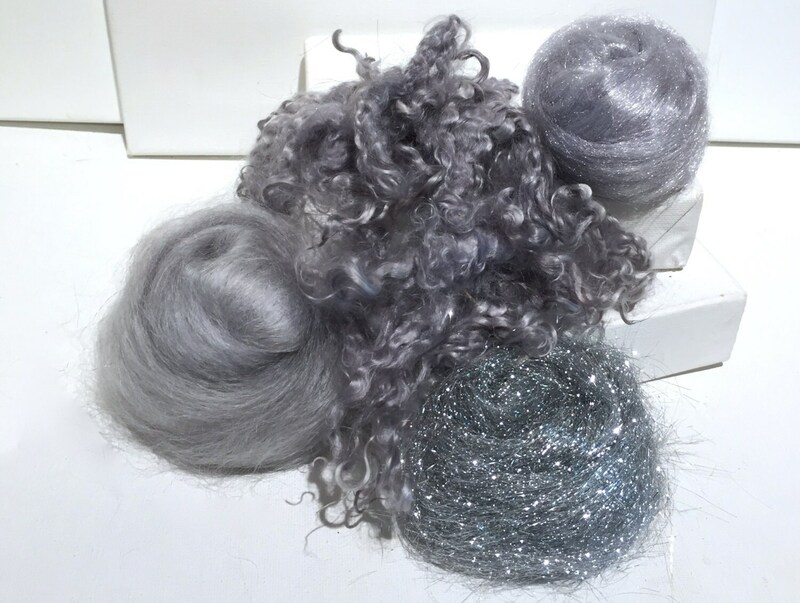 Lisa, from Kai Mohair has a fiber/locks bar in her booth, sort of like a huge salad bar with nothing but dyed kid mohair locks. I was in heaven--and then... I saw the silver. It's been a love affair ever since. 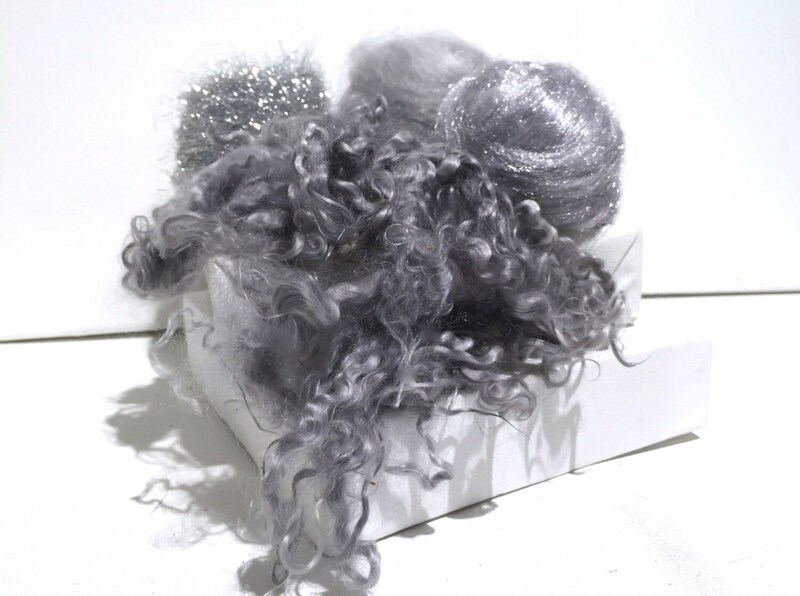 *We ship/store our wool products with lavender and or cedar. Please let us know if your allergies are an issue. Often, we can air out or rewash your fiber in Kookaburra Wool Wash or Delicates Wash. These are so beautiful, I almost hate to spin then, I love just looking at them. But, I certain will, I won't be able to help it. 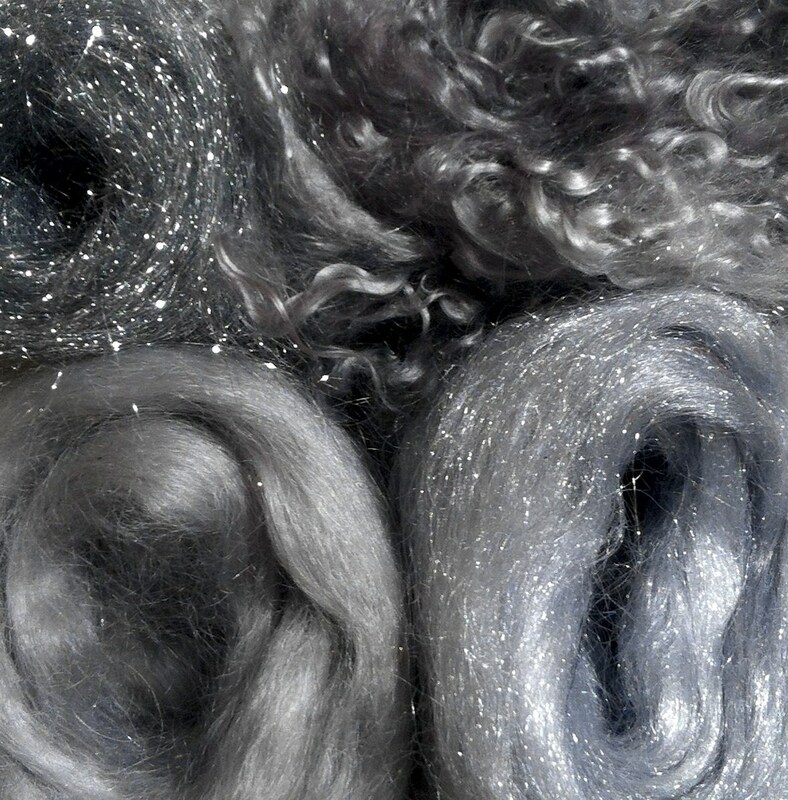 This is a really cool assortment of fibers! The locks were very nice, and everything was as described. The packaging was so thoughtful and professional. Thanks!